I'm not usually one to discuss hair products as I'm not a hair enthusiast and I don't really know much about natural hair but I thought this product deserved some recognition. 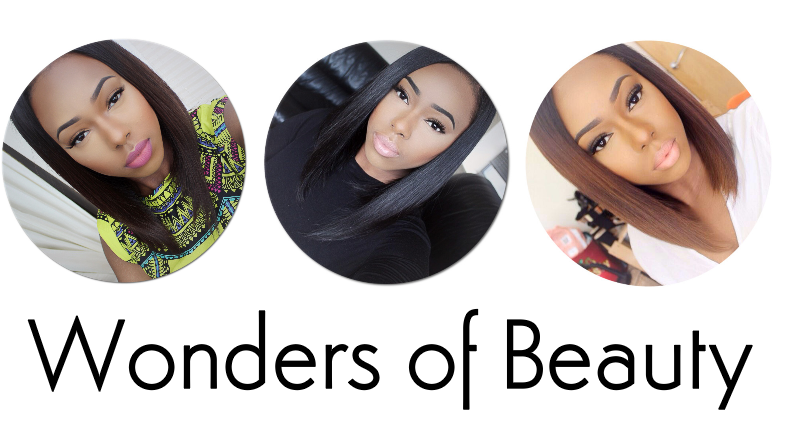 Many people are on some sort of hair journey to achieve healthier hair and are staying far away from relaxers as they find them damaging. Whilst being natural, it can be difficult to manage or achieve certain hairstyles without the use of excessive heat on a regular basis, eg. 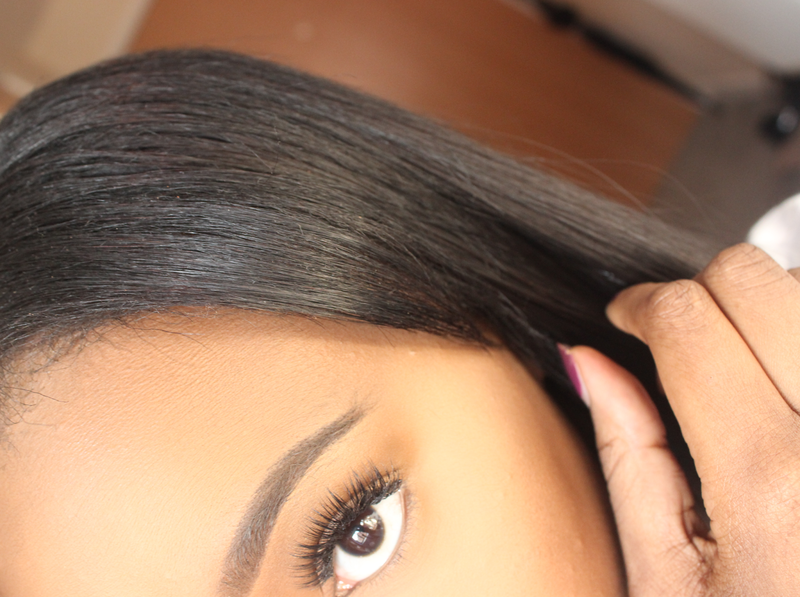 maintaining a bone straight weave as this requires your hair to blend seamlessly with the extensions. The use of chemical free straightening systems are becoming more popular as we're desperate to find ways which allow us to be more versatile with our hair. With these systems, your hair will eventually revert to its natural texture or you can choose to revert it yourself using specific shampoos, etc. 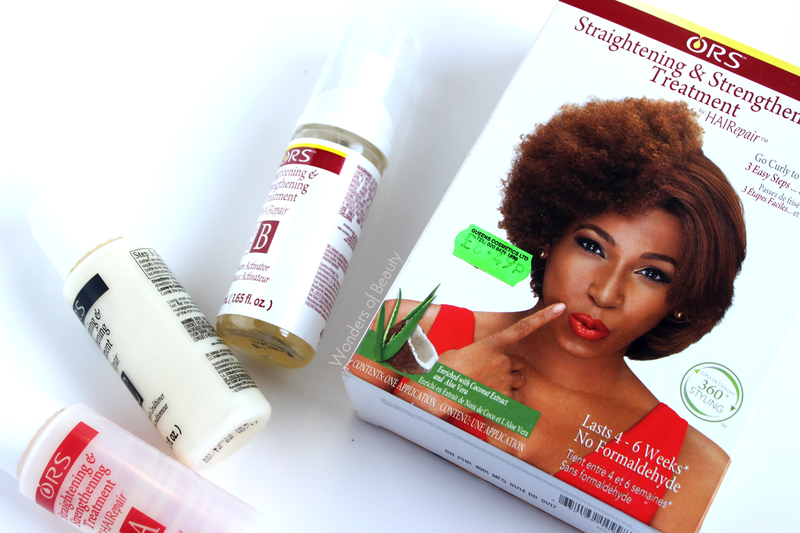 This straightening system is suitable for natural, transitioning or relaxed hair! Weave is my best friend but I have natural hair so if I'm not wearing a closure, there needs to be a way for me to maintain a straight style. I discovered the use of straightening systems a few months back. 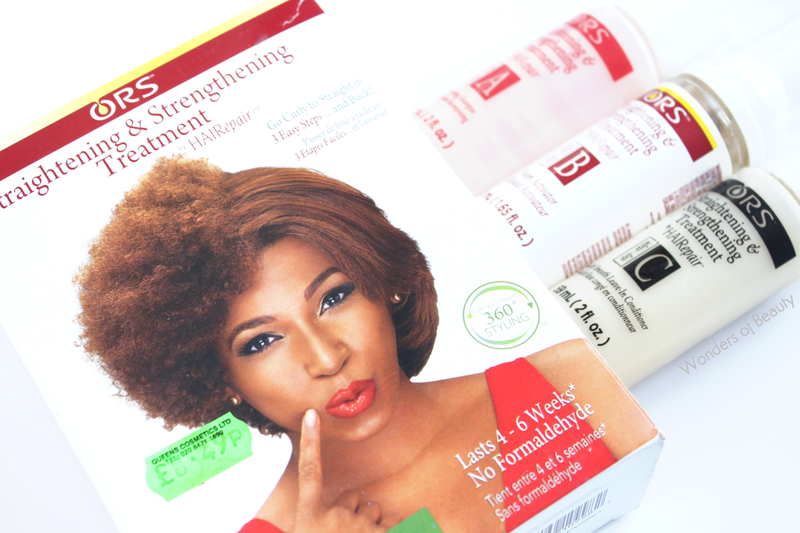 I've tried one other straightening system by Beautiful Textures but maintaining straightness with this brand was too much effort for me as you needed to regularly use a specific shampoo and conditioner for best results. I will say it made my edges very straight although not for a long time. I prefer the results of the ORS system as my hair looked and felt healthier, the results last longer and it also requires less work. 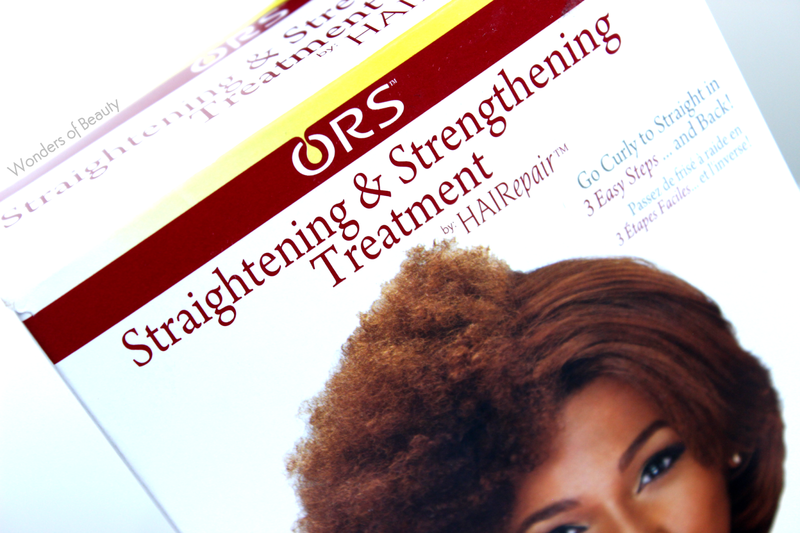 The ORS Straightening and Strengthening Treatment is said to last 4-6 weeks before your hair reverts to its original texture. As I draft this blog post, I am on week 4. The pictures below were also taken at the same time. 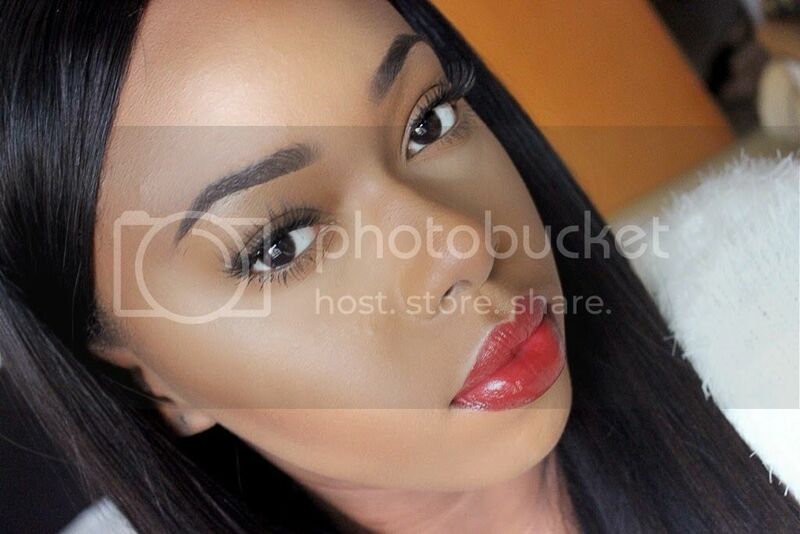 The system recommends using their HAIRepair shampoo and conditioner to maintain your straight styles but it doesn't state that the use of these products are a must. I have washed/treated my hair with my usual products and I found that as I washed my hair, it was gradually reverting to its normal texture but not fully. This could be because I didn't use the recommended products but I'm not sure. Regardless, my hair was more manageable than before the use of this product as I now have slightly stretched curls (which I'm assuming will return to it's natural state in a few weeks as it did with the Beautiful Textures system) and I was able to blow dry straight without really needing to use straighteners after. This product does require the use of heat (blow drier and straightener) after the first application of the treatment to seal in the products, so if you're someone who does not use heat at all, I wouldn't recommend this product to you. I did find that my hairline did not stay straight for the whole 4 weeks. There appears to be reversion and as you cannot use this particular system more than once within a 4 week period, I tend to straighten my edges when necessary. I am NATURAL. Unfortunately I wouldn't be able to tell you my hair type as I'm not really clued up about these things. These pictures were taken towards the end of week 4 and yes, my hair is due for another wash.
All in all, I think straightening systems are good for those who are 100% natural or in particular for those who are transitioning as it allows you to manage the difference in textures more easily. You are also able to maintain straight styles for a lot longer. For those who are relaxed, it gives you the option to stretch out your relaxers which could be beneficial to your hair. Have you tried any straightening systems? If yes, which one do you recommend?